What is HTML5 Hidden attribute? 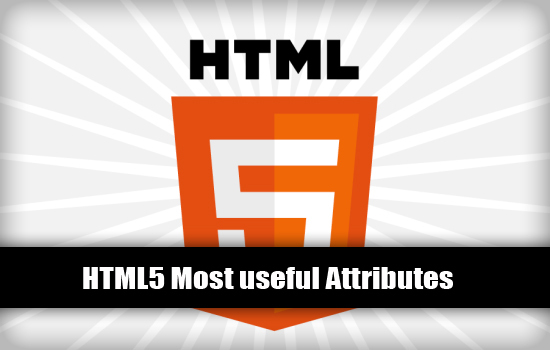 What is Download attribute in HTML5? What is Autofocus attribute in HTML5? What is Placeholder attribute in HTML5? The name say it all. Once we had to use CSS’s display style to hide any HTML element. But now HTML 5 has a new attribute named ‘hidden’, which works similar to CSS’s display:none. In case, if your browser did not support ‘hidden’ attribute, you can use CSS to achieve the name. It’s semantically correct and efficient way to hide an element. Moreover, you will save few texts in CSS file. When the user clicks the download link, the file will be renamed as “download.pdf”. When ‘autofocus’ attribute is used for HTML elements like input, textarea and button, the browser will automatically enable focus when the page is loaded. Another interesting attribute in HTML5. Placeholder attribute will allow you to display text in a field until the user types in. For instance, you might want to display text inside text field as “Enter your name here” until the user types in. Certain features of HTML5 are not supported on all web browsers. In such cases, you will have to write a fallback code.